Dear friends. 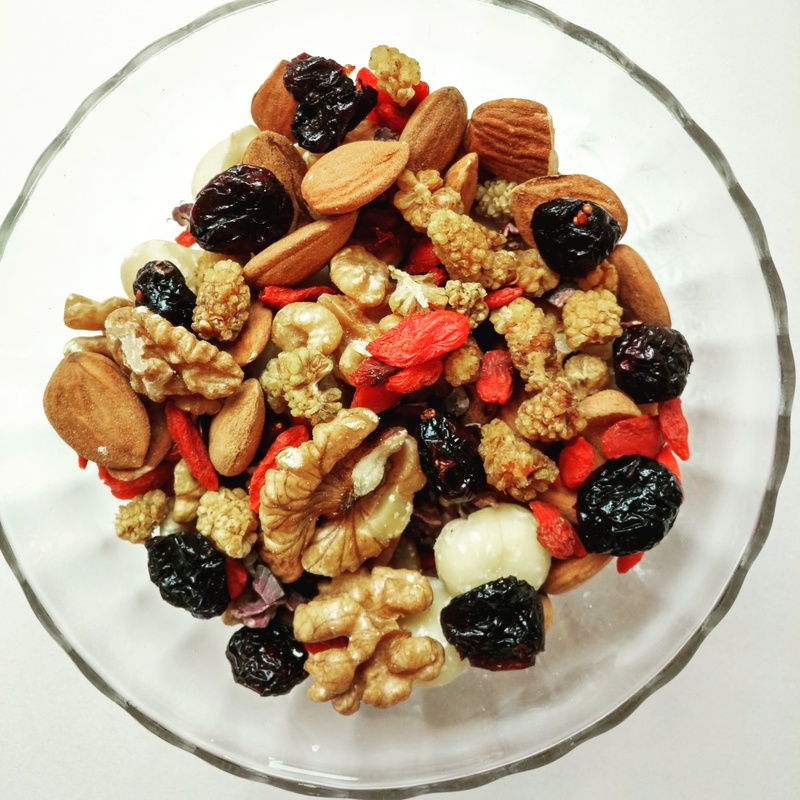 A friend came over last week and spoke about how she had started eating more nuts after lunch and until supper to curb her sugar cravings. This reminded me to remind you of this lovely option which is so easy to take with anywhere or have at home to enjoy whenever. Please check the ingredients list when you buy dried fruits to make sure they have not been treated with sulfur dioxide. I always buy organic dried fruits. Take good care of yourself and remember that good fat does not make us fat, it makes us thin because it helps us feel full and happy, stabilises our blood sugar (VERY important for good health) and curbs our cravings for refined sugars. What you additionally have in nuts/almonds and seeds is a lot of protein, which also makes you feel full and content. Furthermore these are all loaded with essential minerals. Good fat additionally speeds up the metabolism and gives us energy. Irresistible salad dressing that makes you want to eat loads of greens! No Replies to "Mixing it up"